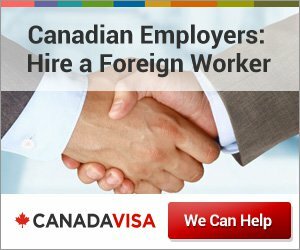 The question of whether a Canadian work permit is required for a foreign vendor depends on the manner in which the products are being sold. 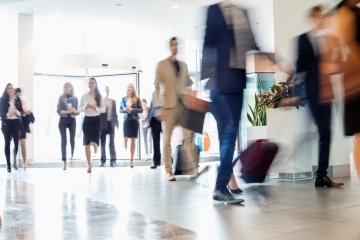 At a given conference/convention/seminar there are usually at least a few merchants who are selling a particular product to the event’s attendees. Very often what they are selling is directly related to the conference, thereby ensuring that the people in attendance are part of the demographic the merchants are targeting. Regardless of what is being sold, the act of selling constitutes “work” and because of this, when it is foreign nationals doing the selling, uncertainty can ensue as it concerns the necessity for a Canadian work permit. If the vendor is accepting compensation and physically providing the consumer with the product right there on the spot, all the regular formalities that must usually be followed for a foreign national to work in Canada must be respected. This entails the need for a positive Labour Market Impact Assessment (LMIA), as well as the actual acquisition of a work permit. Both of these might be difficult to obtain in the context of a merchant selling products at an event. However, if the product is not changing hands right then and there at the event in question, a work permit may not be required. This is usually the case if the individual is merely recording sales and taking orders, as opposed to delivering the product to the consumer on the spot. Provided the merchant complies with the above condition, the nature of the product is also important with regard to whether a work permit is needed. A Canadian product entails the need for a work permit, while a non-Canadian product does not. Without a work permit, a foreign national cannot come in and sell a product, even if only taking orders, if that product is Canadian. In terms of whether or not a given product is Canadian, the location in which it was manufactured is determinative; if it was made in Canada, it is a Canadian product. If it was made abroad, the product is not Canadian. Please use the form below to submit your inquiry about working legally in Canada. A member of our team of work permit specialists will respond with an evaluation of your needs.